Very important note: if the attack buttons are delayed or not registering (pressing the button 3-4 times until the attack registers), please close the game and launch it again, this issue happens randomly and can be avoided easily, you would miss out the actual experience of the game and have a negative first impression. 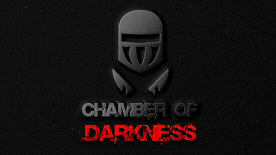 What is Chamber of Darkness? Chamber of Darkness is a beat 'em up game, with some platforming elements.You play as a fearsome knight, looking for a way to break the curse of the spear that will absorb the knight's body if not fed by killing other creatures. Actions with the spear like attacking or using abilities cost HP depending on what ability you use, and you regain the used HP by landing a successful hit.Enemies have a chance to parry your attacks and reflect your projectiles. You can choose up to 3 abilities before the start of the level. Story mode with 20 levels. 24 Challenges separated into 5 categories. Play as an enemy and fight the hero in Monster mode.